Our hoists make it easier to store your wheelchair or mobility scooter in the boot of your car. If you are unable to operate the foot pedals, hand controls allow you to brake and accelerate using your hands. 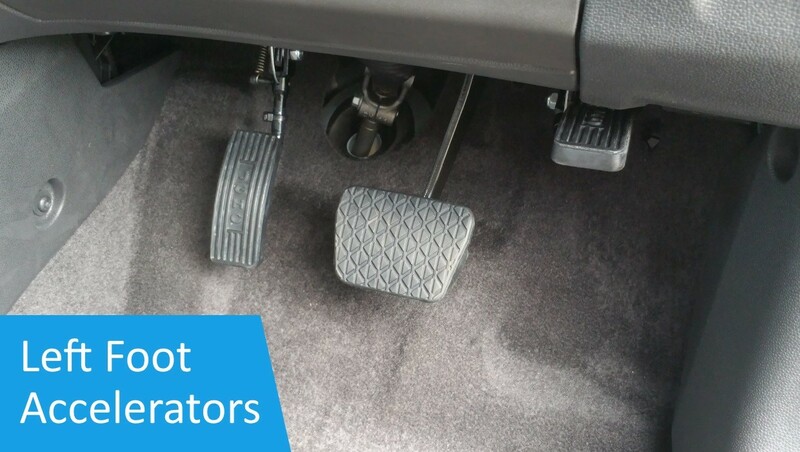 If you have limited mobility in your right leg, and cannot use the standard accelerator comfortably, you may benefit from having a left foot accelerator fitted. 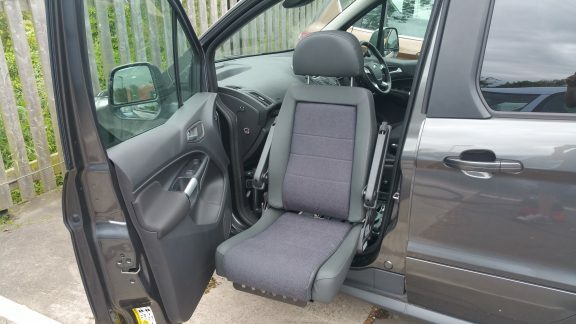 Swivel seats can be rotated 90 degrees, making it much easier for the user to transfer themselves between a wheelchair and the vehicle's seat. Looking to buy a new scooter? 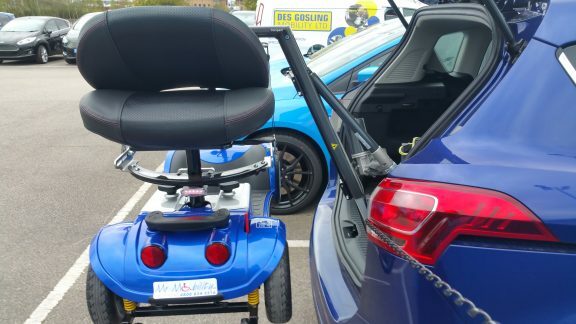 We have a range of folding mobility scooters and wheelchairs that can fit into the boot of even the smallest cars. 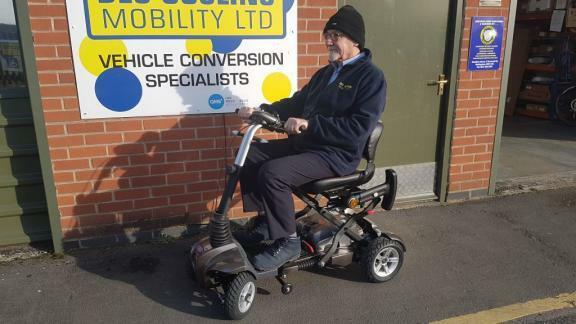 Here at Des Gosling Mobility in Derby we provide a fantastic range of adaptations to enable users and carers to maximise the freedom that the use of a vehicle offers. 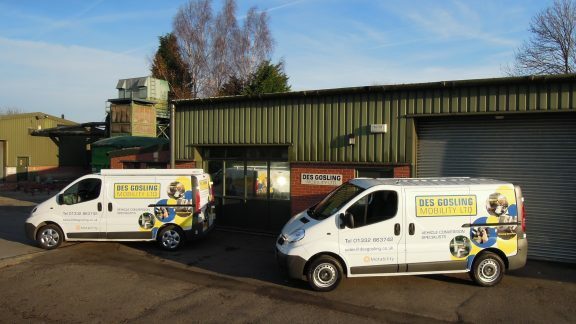 We pride ourselves on offering a complete service, from discussing and agreeing the most effective solution, right through to fitment at our Derbyshire workshop or on-site throughout the Midlands. 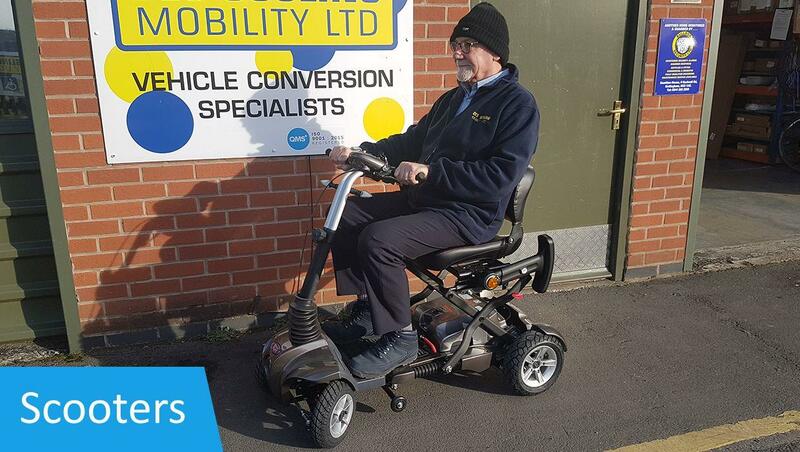 We are a Motability Accredited Company, which means we are fully licensed to fit vehicles with all manner of adaptations. Scroll down to see our full range of products! Our range of driving controls can make driving safer and easier for people with many forms of limited mobility. 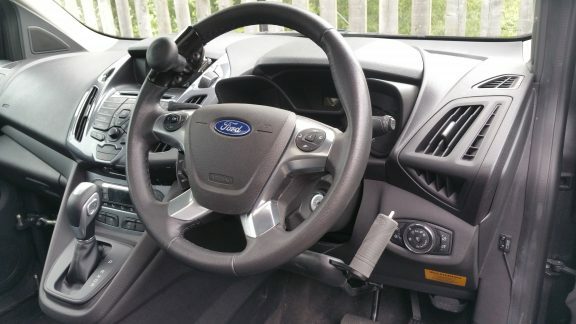 Many adaptations are available including Hand Controls, Electronic Accelerators, Steering Aids, Left Foot Accelerators and Pedal Extensions. If you’re in need of an easier way to transport and store your scooter, our hoists and lifts are for you. Quickly installed on all kinds of car and van. 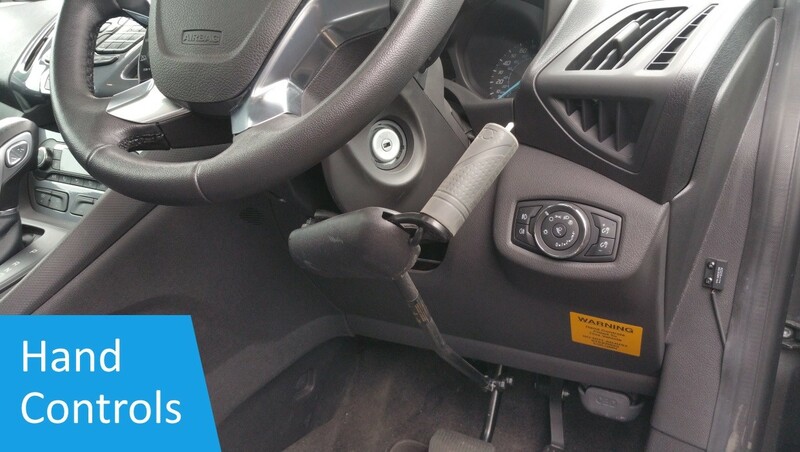 Our vehicle access aids can help you in and out of your car safely and quickly. 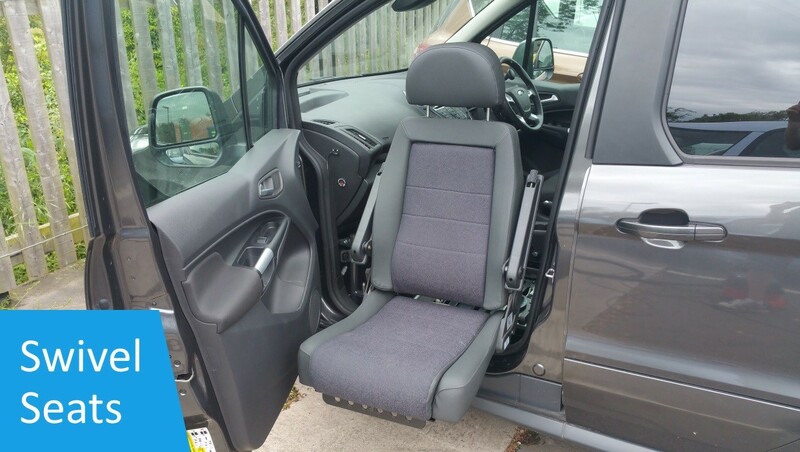 We can install our access aids on any kind of car or van. 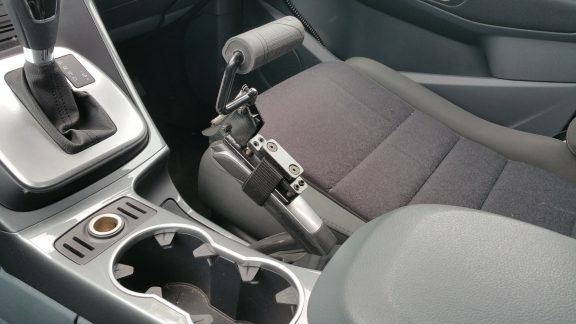 Many other adaptations are available, including easy release handbrakes, easy release gearshifts, electric handbrakes, lightened power steering, and boot straps. Looking to buy a new scooter? We have a range of folding mobility scooters and wheelchairs that can easily fit into the boot of even the smallest cars. Before buying your adaptations we can discuss your abilities and demonstrate some of the products that we think would be suitable for your needs, either at our workshop or at your home. We currently have six fully fitted demonstration vehicles, allowing us to demonstrate a wide range of products. To book an appointment please give us a call on 01332 863742 or alternatively click the link below to send us a message via our contact form. 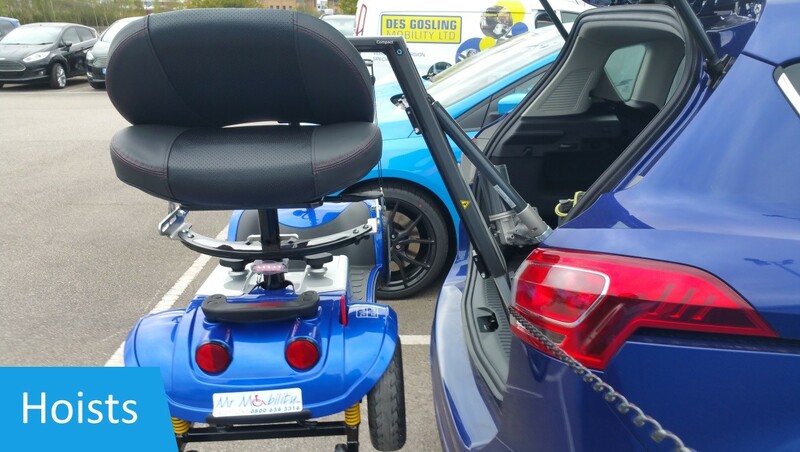 We at Des Gosling Mobility fully understand that as an end user it can be difficult to bring your vehicle to us to have your adaptations fitted. Therefore, in order to try and make your life as easy as possible, we provide a mobile fitting service for a wide range of products at either a dealership, your home, or your place of work.